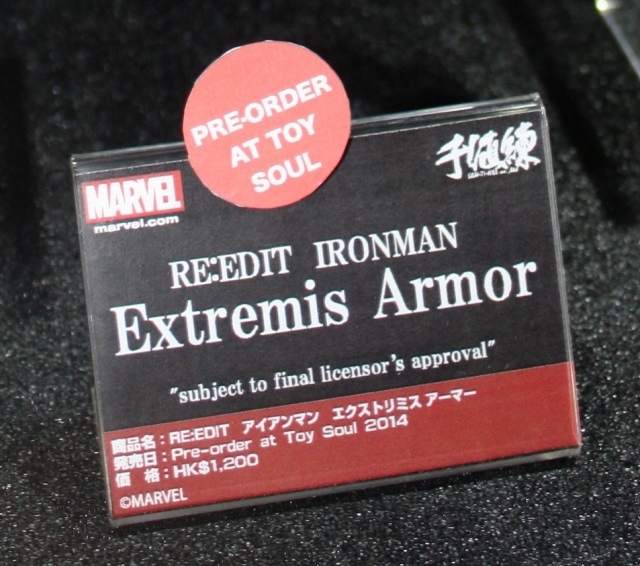 Sen-Ti-Nel was at Toy Soul 2014 accepting preorders for their upcoming Re:Edit Iron Man Extremis Armor. 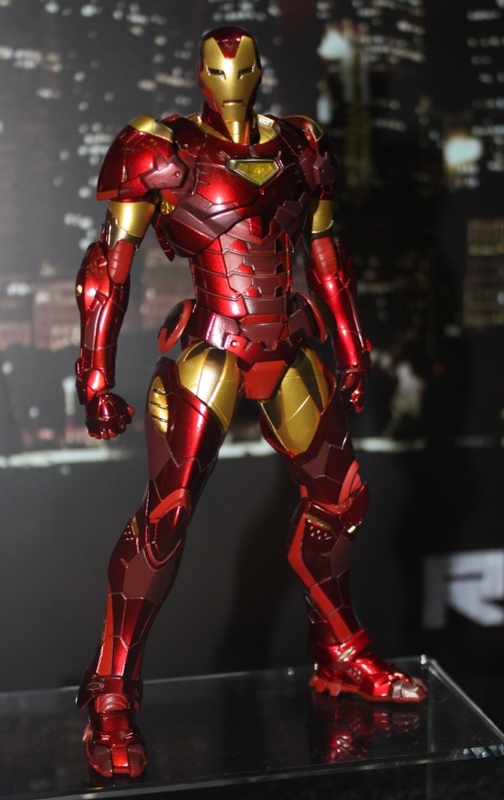 Based on the suit Tony wore during the comic story line of the same name, this figure of the Extremis Armor is 18 centimeters tall and features a light up chest gimmick. Comes with multiple hands and a base. Coming sometime in 2015. Price is HK$ 1,200 (roughly 154 USD).